Bangalore Sept 08, 2008: MSC. Software India User conference started this morning. 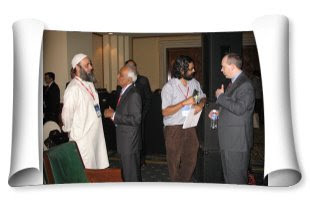 The event is attended by engineers, analysts and executives from various engineering simulation affiliated companies. Amir A. Mobayen, Executive Vice President, Worldwide Sales and Services briefed about MSC. Software's footprints and value-proposition in the Engineering Simulation Discipline. Highlight of the inagural day session was the customer keynote by Dr. Sathya Prasad Mangalaramanan, Section Head, Advanced Engineering, Ashok Leyland. David Yuen, Vice President, MSC.Software Asia Pacific explained how Enterprise Simulation can help companies simulate more, using MSC SimEnterprise. 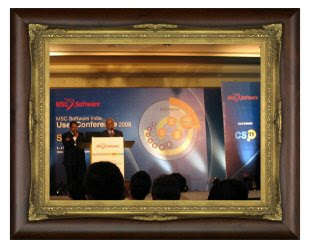 Dr. TSK Murthy, Global Head of Integrated Engineering Services, Sathyam Computer Services on his keynote touched upon Sathyam's strategic plans to work together with MSC. Software on customizing SimEnterprise product offerings. Doug Niel, Senior Director, Development for MD Nastran gave an overview of multi-disciplinary optimization using MD Nastran. 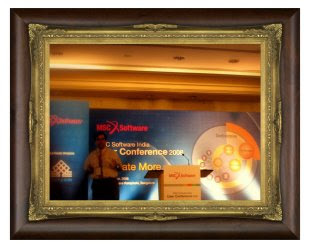 On his Gold Sponsor keynote, Dr. Swami Narayanaswami explained how MSC partnership helps CSM software to deliver customer value. Second part of the day included technical paper presentations by MSC Software cusomers. Please don't forget to check back this space for more exciting updates from day 2 of the user conference.